Votive relief of a hero at a banquet, mid-4th century BC. Marble. © Staatliche Museen zu Berlin, Antikensammlung, Inv. no. SK 827. Photographer Johannes Laurentius. 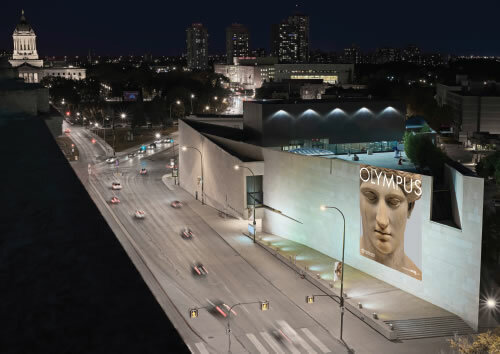 Olympus: The Greco-Roman Collections of Berlin at the Winnipeg Art Gallery has now ended. See current exhibitions at wag.ca. The WAG is located in the heart of Winnipeg, just off Portage Avenue and within walking distance of downtown hotels. Available at the WAG front desk or online now. Includes free audio tour in English and French. Includes admission to all the galleries. 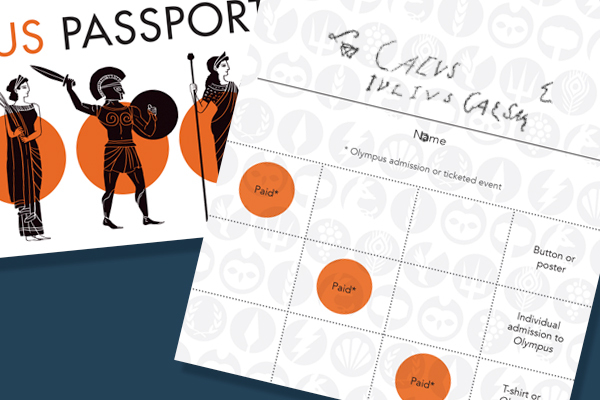 Get your FREE Olympus Passport when you visit the exhibition and related events. Collect stamps and win prizes. Learn more here. Not a WAG Member? Now is the perfect time to sign up or renew! New member categories. New benefits. Now your WAG membership offers you more than ever. Not only will you see Olympus for less, you’ll get discounts at Shop Olympus and be the first to know about exciting events and programs. For more information, contact membership@wag.ca or 204.789.1764. 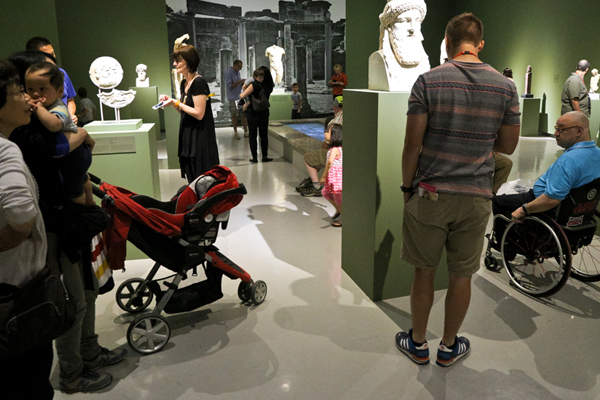 Groups of 15 visitors and up receive 20% off admission and groups of 30 and up receive a 30% discount. One tour guide is required for every 15 people for $50 per guide. Optional art-making workshop and group lunch available. Find out more here. 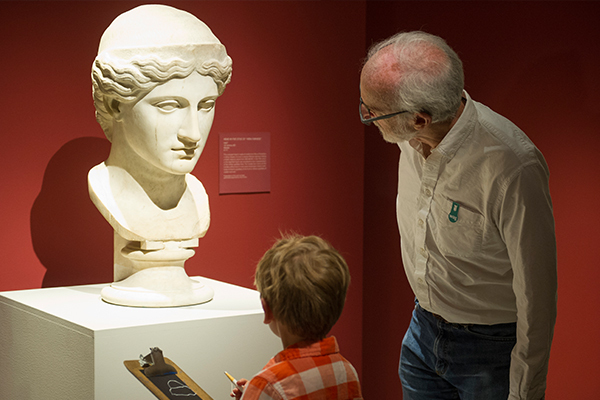 To book, contact education@wag.ca or 204.789.1290. Take a piece of Olympus home! Visit our exclusive exhibition boutique for a collection fit for the gods and goddesses. Enjoy Mediterranean-themed cuisine at TABLE Restaurant, overlooking the WAG’s Rooftop Sculpture Garden (Penthouse Level).